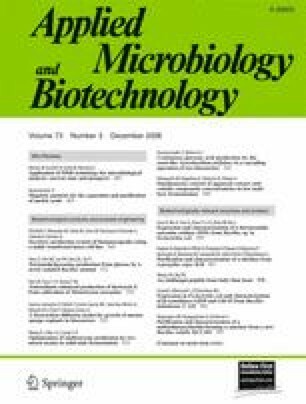 Gentisate-1,2-dioxygenase genes (gdoA), with homology to a number of bacterial dioxygenases, and genes encoding a putative coenzyme A (CoA)-synthetase subunit (acdB) and a CoA-thioesterase (tieA) were identified in two haloarchaeal isolates. In Haloarcula sp. D1, gdoA was expressed during growth on 4-hydroxybenzoate but not benzoate, and acdB and tieA were not expressed during growth on any of the aromatic substrates tested. In contrast, gdoA was expressed in Haloferax sp. D1227 during growth on benzoate, 3-hydroxybenzoate, cinnamate and phenylpropionate, and both acdB and tieA were expressed during growth on benzoate, cinnamate and phenylpropionate, but not on 3-hydroxybenzoate. This pattern of induction is consistent with these genes encoding steps in a CoA-mediated benzoate pathway in this strain. In the opinion of the authors, D.J. Fairley and G. Wang should be regarded as joint first authors. This work was supported in part by grant EEC9908280 from NSF (to C. Rensing and I.L. Pepper) and by funding from the Queen’s University Environmental Science and Technology Research Centre (D.J. Fairley and M.J. Larkin).